Nickel Alloy 201 Buttweld Fittings, Nickel Alloy UNS N02201 Pipe Fittings, ASTM/ASME B366/SB366 Nickel Alloy 201 Buttweld Fittings, Nickel Alloy 201 Buttweld & Forged Fittings, Suppliers, manufacturers, Exporters, Mumbai, India. Nickel Alloy 201 is 99.6% pure nickel, one of the toughest metals. Rexton Steel & Alloys is a leading supplier and exporter of Nickel 201 Buttweld & Forged Fittings. We provide Nickel Alloy 201 Buttweld & Forged Fittings globally to all the customers as per their requirements. 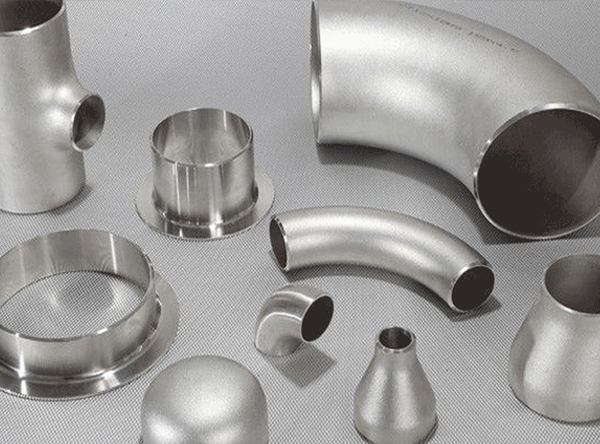 Rexton Steel & Alloys exports a variety of Nickel Alloy 201 Pipe Fittings (ASTM B366, ASME SB366), Nickel Alloy 201 Pipe Fittings Exporter in Mumbai India, Nickel Alloy 201 Buttweld Fittings, Nickel Alloy 201 Forged Fittings, ANSI B16.9 Nickel Alloy 201 Buttweld & Forged Elbow, 201 Nickel Alloy Buttweld & Forged Reducer Stockist, Nickel Alloy UNS N02201 Pipe Fittings Exporters, Nickel Alloy 201 Buttweld & Forged Tees Suppliers, B366 Nickel 201 Long Radius Bend Pipe Fittings, 201 Nickel Alloy Buttweld & Forged 90 deg Elbow, Nickel DIN 2.4066 Pipe Fittings Exporter, 201 Nickel Alloy Buttweld & Forged End Pipe Cap. Nickel Alloy 201 Buttweld & Forged Fittings are industrially unadulterated pure nickel by method for having superb mechanical qualities and imperviousness to an extensive variety of destructive media. Nickel Alloy 201 Buttweld & Forged Fittings have uncommon quality completing and coercion for long life, high weight and zero deformities along with high warm and electrical conductivities, low vapor weight and low gas content. The Nickel Alloy 201 Buttweld & Forged Fittings products separation depends on the chief completion of Nickel Alloy 201 Buttweld & Forged Fittings with least burr at the edge . The angular shape arrangement for impeccable welding and creation of the fittings in uber ventures in oil and gas industry for long existence of the Nickel Alloy 200 Buttweld & Forged Fittings products. DIN 17740, 17750, 17751, 17752, 17753, 17754.